Farmers Guardian, informing and supporting Britain’s farmers for over 170 years. First published in 1844, the Preston Guardian switched to concentrate solely on agriculture in the 1950s. Since then, it steadily grew to become agriculture's national weekly newspaper covering all sectors of the industry and all regions of the U.K. 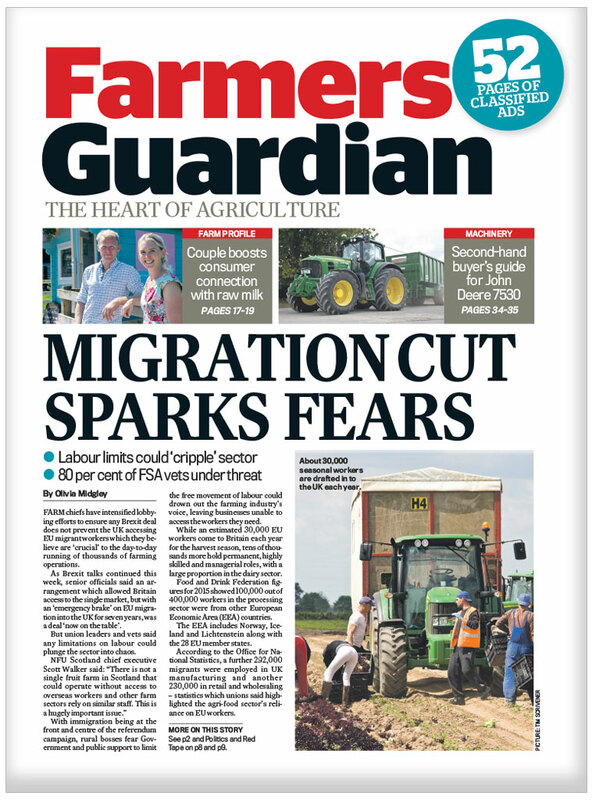 Farmers Guardian now provides so much more than just the weekly print edition with many additional services available exclusively for members. At Farmers Guardian, we’ve been informing and supporting Britain's farmers for over 170 years. Since 1844, we’ve reported on progress and change in farming – our earliest issues covered the repeal of the Corn Laws – and today, we’re using technology to transform how we deliver the latest news as well as provide information and advice to the farming community. The new look Farmers Guardian news content is even harder-edged and drills down into what political decisions and wider events really mean for farmers and their businesses. We analyse the big issues affecting agriculture, as well as showcasing the innovation which is transforming the industry. Easy-to-read news content, great analysis of complex issues affecting the industry, farm features, and case studies, plus market-leading show, sale, and technical content. But, you also told us you wanted more, now you’ve got it and all in a handy size. From comprehensive business coverage focusing on realities of the industry, farmers told us they want a greater focus on international news and context around why what happens in Europe, New Zealand or the USA matters for you on your UK farm. With more about diversification and generating additional revenue for your business, the new Farmers Guardian delivers all of this and more. With membership packages tailored to our readers, you can set up a monthly, quarterly or annual subscription and have the magazine delivered directly to your door every week. Plus you save money on the regular cover price! 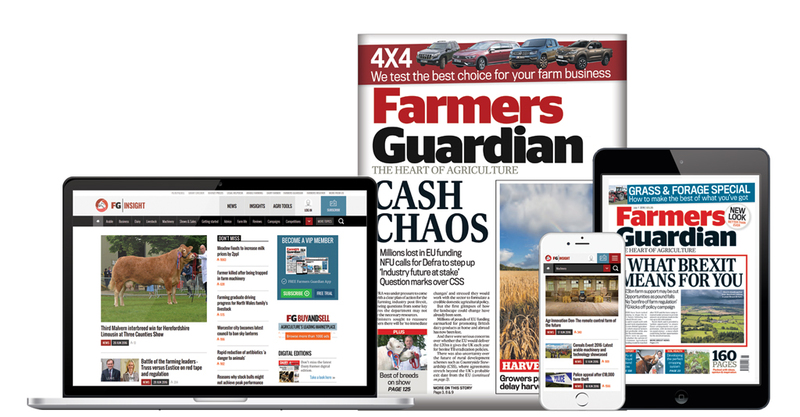 Subscribers also receive exclusive access to the latest news as it happens on the Farmers Guardian website as well as a handy App version of the paper every week so you can read Farmers Guardian wherever and whenever suits you. VIDEO: Click here to find out a bit more about the new look Farmers Guardian from those in the industry. Where can I get Farmers Guardian? There are two ways of getting Farmers Guardian. The first (and most cost-effective) way of getting your copies of Farmers Guardian is to SUBSCRIBE. We'll deliver the paper to you every week. Plus you'll also receive a whole host of other benefits to keep you in the know. As it's sold in newsagents and supermarkets throughout Britain, you can also purchase copies each week from your local stockist. How can I contact Farmers Guardian? There are several ways to contact us, depending on the nature of your query. Can I subscribe to your e-newsletters as a non-subscriber?